50MP, 44x33mm CMOS sensor with 68% more image capture area than full-frame, ISO range 100 - 6400, exposure time between 1/10,000s and 1 hour, 14 stops of dynamic range, 3.2-inch touchscreen LCD, improved LiveView capability, 1.2 fps max shooting speed, built-in WiFi and USB 3.0. Now word is Ricoh is also working on their own CMOS Medium Format camera, perhaps eventually known as the Pentax 645D, due out some time in 2014. The camera is rumored to have a 'super-high-resolution CMOS image sensor’, perhaps rivaling Sony's 50 MP sensor used in the upcoming Hasselblad and Phase One models and a tilt-type LCD monitor. Now that the Medium Format race is apparently heating up, rumor surfaced again that Canon may be seriously considering their own MF ambition, with an eye towards Photokina 2014. This may be a mistake. 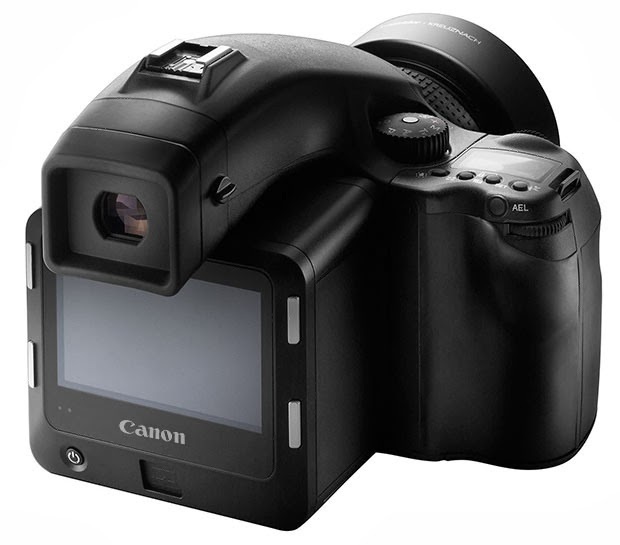 Canon is just coming out of a funk and mediocre 2013. They need to keep their eye on the ball and introduce replacements to some much praised cameras and lenses, which are showing their age. Medium Format cameras are, at best, niche products and should be left to niche companies. I have been a Travel and Wildlife photographer using Canon equipment for twenty five years and have followed the company for a long time. Recently, I have made some observations and suggestions on Canon and hope they will stick to their core competency and not be diverted from their main mission.